The General Electric F414-GE-400 is a 22,000-pound class afterburning turbofan engine. The engine features an axial compressor with 3 fan stages and 7 high-pressure compressor stages, and 1 high-pressure and 1 low-pressure turbine stage. At a weight of 2,445 pounds, the F414-GE-400 has a thrust-to-weight ratio of 9. The F414 is one of the U.S. Navy's newest and most advanced aircraft engines. It incorporates advanced technology with the proven design base of its F404 predecessor - for example the F414 features a FADEC (Full Authority Digital Engine Control) system - to provide the Boeing F/A-18E/F Super Hornet and the EA-18G Growler with a durable, reliable and easy-to-maintain engine. The F/A-18E/F Super Hornet is a carrier-based, twin-engine, high-performance, multi-mission, tactical fighter and attack aircraft. With its selected external equipment the aircraft can be optimized to accomplish both fighter and attack missions. The F/A-18E/F provides a 40 percent increase in combat radius, a 50 percent increase in endurance, 25 percent greater weapons payload, three times more ordnance, and is five times more survivable than the F/A-18 A/C models. These major performance improvements are mainly due to the F414-GE-400 engine, which is more powerful than the F404 used on the F/A-18 A/C Hornet. The engine entered production in 1998 after a successful engineering, research, and development program. So far, the F414-GE-400 has proven itself as a highly reliable power plant. In June 2015, GE Aviation delivered its 1,500th F414 engine. The F414 engine fleet has surpassed more than 3 million flight hours. The F414 delivers 35% more thrust than the original F404, which significantly improves the range, payload and survivability of Boeing F/A-18E/F Super Hornet aircraft and EA-18G Electronic Attack Fighters. In 2006, Saab selected the F414 to add range and other capabilities to their Gripen Next Generation (NG) fighter jet - now Gripen E. The F414 has been selected to power 60 fighters for Sweden and 36 for Brazil. The production Gripen E is powered by the F414-GE-39E. In October 2010, the F414-INS6 derivative of the F414 was selected to power the Mk2 version of India's HAL Tejas Light Combat Aircraft (LCA). India expects to purchase up to 99 installed engines. In May 2016, South Korea selected GE Aviation to supply F414 engines for its indigenous KF-X next-generation fighter. General Electric is developing a F414 Enhanced Engine variant, which incorporates an increased flow, all-blisk fan, new six-stage high-pressure compressor and an improved high-pressure turbine. 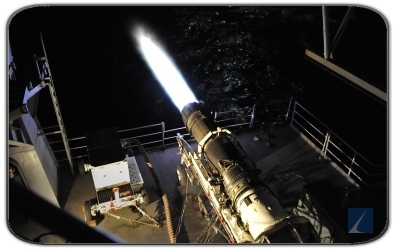 With the support of the U.S. Navy, multiple rig and ground engine tests have been completed. Benefits include 18% more thrust (26,000 lbs vs. 22,000 for current F414 variants), lower fuel burn, increased bleed air for avionics cooling, and double horsepower extraction for electrical growth. GE Aviation is pitching the F414 Enhanced Engine as an upgrade for the U.S. Navy's F/A-18E/F Super Hornet and EA-18G Growler fleet. Sources Used: U.S. Department of Defense (DoD) and General Electric Co. The Platinum Forecast System® is a breakthrough in forecasting technology that enables you to select your own unique criteria to create distinct market segments. With Platinum, you can create customized assessments that quickly identify both risk and future opportunities. System types and platforms, currencies, world regions and more can all be input to collect the intelligence that you need, when you need it. 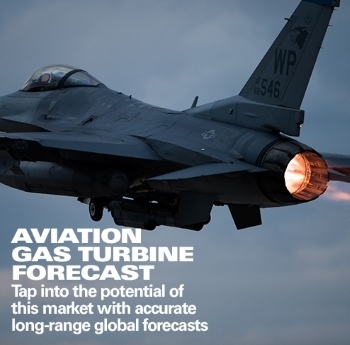 Seize competitive advantage and discover what Platinum, the premier aerospace, defense, power systems and electronics market forecasting tool, can do for you. Click the image above for more information and a FREE demo. Last Update: October 3, 2016.